Learn all about pineapple! From benefits of pineapple, how to choose pineapple, even delicious pineapple recipes. Ready to learn all about pineapple?? Pineapple is one of our favorite tropical fruits! It’s rich in vitamins, antioxidants, and even rich in enzymes which help digestion. Pineapple is low in calories, one cup is 82 calories, making it a healthy snack you can enjoy regularly. 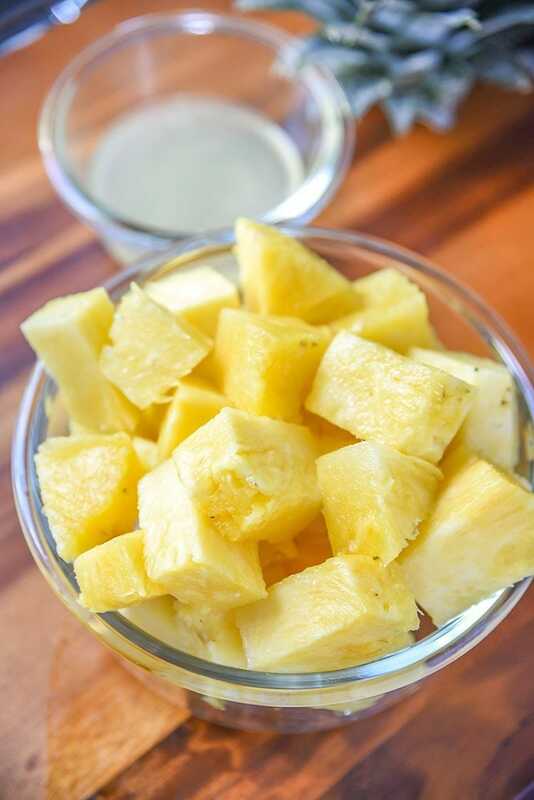 Pineapple is great for digestion, anti-inflammatory properties, and if you feel a cold coming on you can enjoy some pineapple to help boost your vitamin C levels! This tropical fruit also helps build strong bones as it contains manganese, this vitamin strengthens bones and helps them repair as well. Pineapples are great for healing your body. Pineapples contain bromelain and this is known to help lower the risk of cancer, heal wounds, and improving immunity. We regularly enjoy pineapple as it really helps improve our gut health. If you have weak digestion or problems like IBS, Pineapple may help you beat the bloat. Pineapple is considered safe to eat during pregnancy, but during our pregnancy, we limited our intake to 1 pineapples a week instead of 3-4. The night before going into labor I had two whole pineapples and spicy food. I’m not sure if it pineapple caused me to go into labor, but it beat being induced by chemicals which would have taken place 2 days after we were able naturally induce labor. 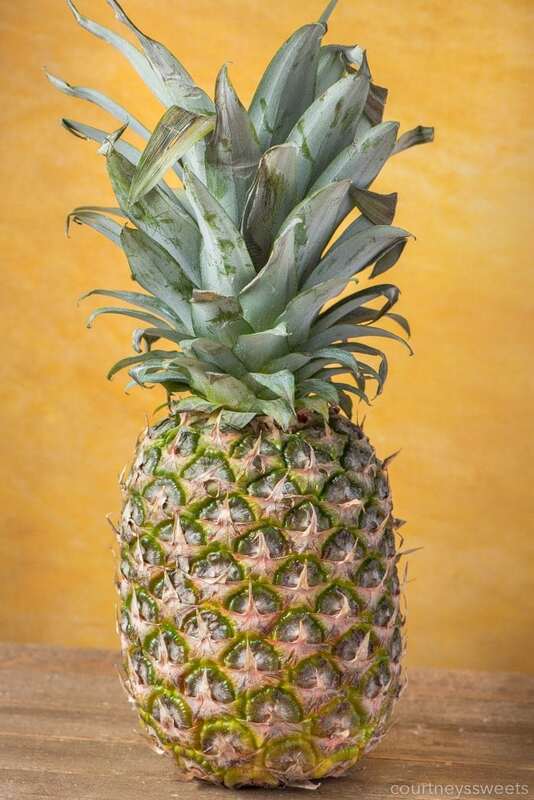 FUN FACT: The scales on the pineapple are actually berries, each one is a single berry fused together around the pineapple core. 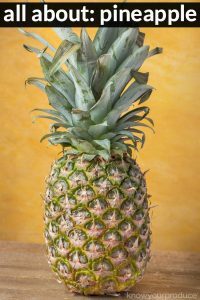 A pineapple is basically a bunch of berries fused together! You can find pineapple available year round, prime season is March – July. It takes about 2 years for a pineapple to completely grow. Allow your pineapple to ripen on the counter at room temperature and cut up within 2-3 days. If you’re not going to cut right away you can slow down the ripening process by placing it in the fridge. If you won’t be enjoying the week you purchased you can also cut up the pineapple and freeze for smoothies. There are a few ways we’ve all been told on how to pick out a pineapple from pulling on the top leaves, the color, the smell. Pineapple should be ready to go once you purchase for the most part as pineapple is picked when it is ripe. We typically pick one that has a little yellowing, not too firm, and definitely not soft. Pineapple is usually bad when it’s more yellow/orange, soft, and the leaves are dull green. Yes! We love freezing pineapple for recipes and even just to snack on. 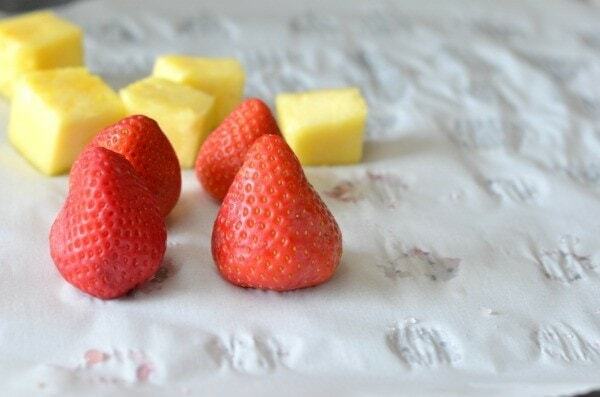 You can easily freeze pineapple just like we do in this tutorial showing you how to freeze strawberries. 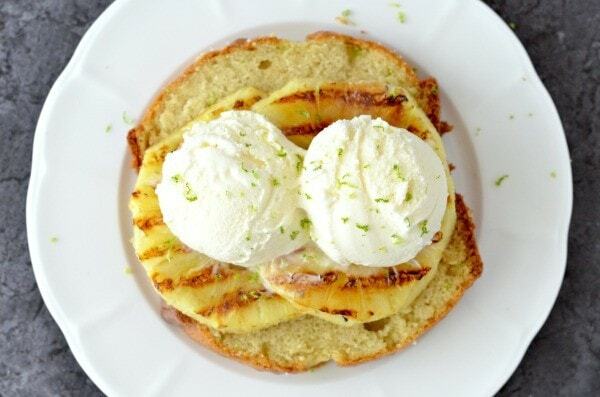 There are so many ways to enjoy pineapple! 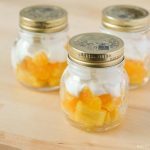 You can make homemade pineapple juice, use it to make pineapple smoothies, in recipes like pork chops with pineapple and peppers, or even grill it for our grilled pineapple with pound cake! 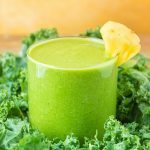 Kale Pineapple Smoothie | Know Your Produce – Our simple Kale Pineapple Smoothie is a great based green smoothie recipe! You can add additional smoothie ingredients like bananas, mangoes, spinach, cauliflower and more! 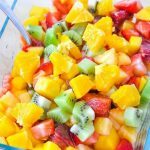 Fruit Salsa | Know Your Produce – Fruit Salsa Recipe with No Added Sugar – Healthy and quick and easy to make! 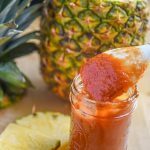 Pineapple BBQ Sauce | Know Your Produce – Homemade Pineapple BBQ Sauce Recipe, a quick and easy recipe for your grilled favorites! Pineapple Lemonade Recipe | Know Your Produce – Looking for a delicious new Lemonade Recipe? Try our Pineapple Lemonade Recipe. Making homemade lemonade, simple! 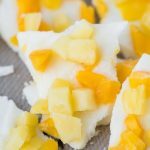 Frozen Yogurt Fruit Bark | Courtney’s Sweets – Looking for a fun and delicious frozen yogurt fruit bark recipe? This recipe is filled with fruit throughout the frozen yogurt. Easy to pick up and nosh. 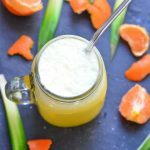 Orange Pineapple Yogurt Smoothie | Finding Zest – A tropical flavored smoothie that’s flavorful and kid approved! Pineapple Upside DownCupcakes | We’re Parents – Mini Pineapple Upside Down Cakes (cupcakes) made from scratch! Pineapple Lemonade Ice Pops | Courtney’s Sweets – Refreshing and delicious Pineapple Lemonade Ice Pops! Make them fresh and healthy right at home for dessert. 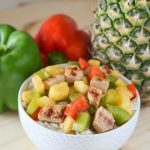 Cilantro Pineapple Lime Rice | A Mindful Mom – Pineapple Cilantro Lime Rice: Ordinary rice is transformed into a side dish worthy of any fiesta with the addition of pineapple, cilantro, lime, and jalapeno. 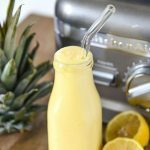 Vanilla Pineapple Chia Fresca | The Flavor Blender – This simple, gorgeous Vanilla Pineapple Chia Fresca is fruity, refreshing, and surprisingly filling with the added nutritional value of chia seeds! Tropical Chia Pudding | My Kitchen Love – This Tropical Chia Pudding is easy to whip up the night before breakfast and is vibrantly delicious (and healthy!). 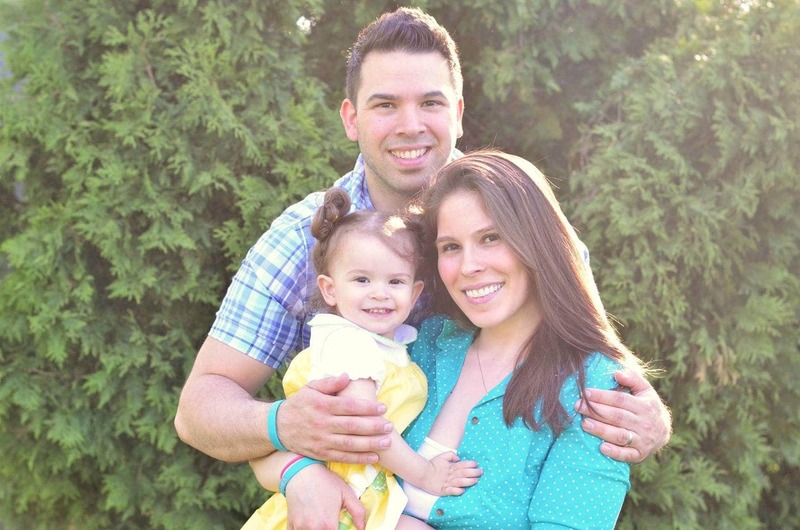 If you enjoyed this post all about pineapple please be sure to share and even pin for later! how do you peel and carve a pineapple?